Soft 4 mil. Dura-Foam insoles with arch support for unrivaled walking comfort. 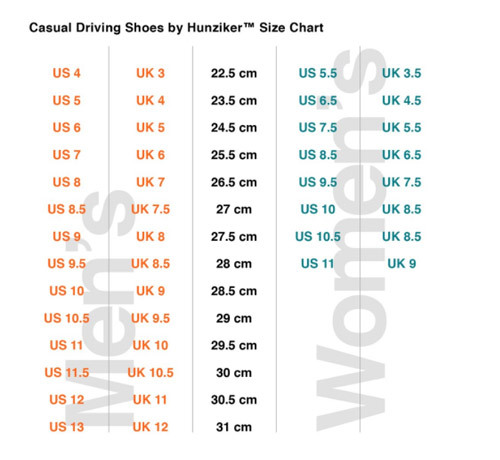 Casual Driving Shoes by Hunziker are designed with comfort in mind. With the improvement of our new contoured insole, this run offers a bit more room than the previous run of Hunziker shoes from 2010. We recommend ordering a half-size down from your standard size or from your previously purchased (2010) Hunziker shoes. This item is drop shipped directly from the manufacturer. Additional discounts do not apply. International shipping is not available.